Scornfully mocking those who suggest waiting for facts, should tell you all you need to know about “journalists” like Jemele Hill. However, had she waited for the facts, she would have learned some interesting things about the case from Philadelphia Police Commissioner Richard Ross, who is black. Ross, who is black, said police asked the men to leave three times but they refused, and they were then arrested but were later released after the company elected not to prosecute. He said the officers ‘did absolutely nothing wrong’ and were professional in their conduct toward the individuals but ‘got the opposite back.’ He did not mention the person who said he was meeting with the men. 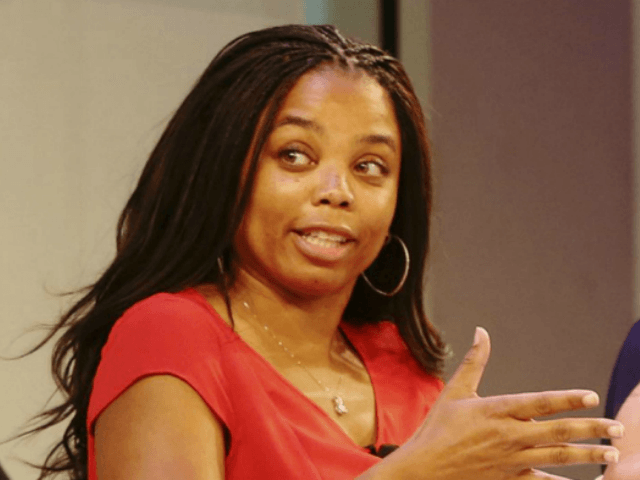 This explanation of course, did not fully satisfy Jemele Hill, who apparently believed that the men had been arrested for being black in Starbucks. Maybe they were arrested because trespassing is still against the law? As the commissioner said, the men were asked to leave by Starbucks employees and refused. Which is why the police were called in the first place. The police themselves then asked the men to leave three times, and they refused. When people refuse to comply with lawful orders, they tend to get arrested. However, again, if Hill had waited for the train of facts, she would know that the men were held until the police were told that Starbucks had no desire to prosecute, and then released. If the time of day of that release is troublesome to Hill, perhaps she should take it up with Starbucks. Moreover, ESPN might want to have a conversation with Jemele Hill over her commentary on this issue. The subject matter should merit our audience’s interests, and be worthy of our time, space and resources; we should be in position to discuss the issue with authority and be factually accurate. The topic should be related to a current issue impacting sports, unless otherwise approved by senior editorial management. This condition may vary for content appearing on platforms with broader editorial missions – such as The Undefeated, FiveThirtyEight and espnW. Commentaries on relevant sports-related issues are appropriate, but we should refrain from overt partisanship or endorsement of particular candidates, politicians or political parties. The presentation should be thoughtful and respectful. We should offer balance or recognize opposing views, as warranted. We should avoid personal attacks and inflammatory rhetoric. Communication with producers and editors must take place prior to commentary on any political or social issues to manage volume and ensure a fair and effective presentation. Just taking a brief glance at these requirements, it would seem that Hill is, at the very least, in violation of the prohibition against discussing issues that have no relation to sports. The Starbucks arrest had no sports connection whatsoever. Perhaps Hill’s work on the Undefeated, a site which covers racial issues, gives her the freedom to address issues without a direct sports connection, but that seems like a debatable point. Now would be a good time for him to show that he means what he says.